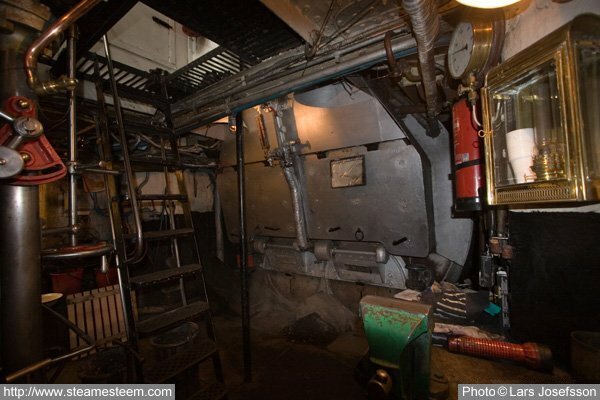 Scotch Marine Steam Boiler, 10.5 bar, with two coal fired furnaces. Triple expansion engine with Klug's valve-gear. 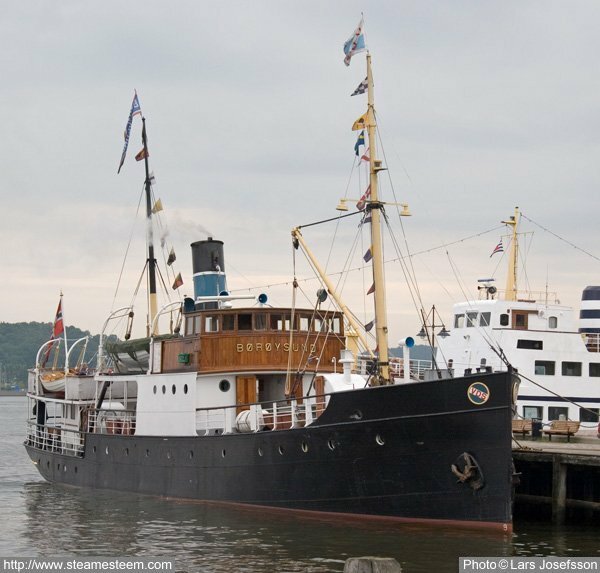 The Scotch marine steam boiler with two furnaces aboard the Steamship Børøysund. 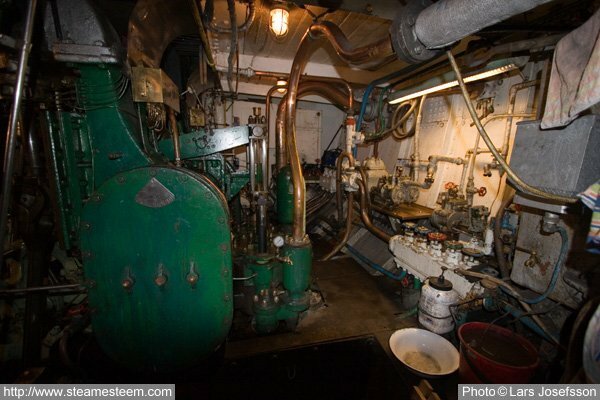 The port side of the steamships engine room with the main engines air pump and two duplex pumps. 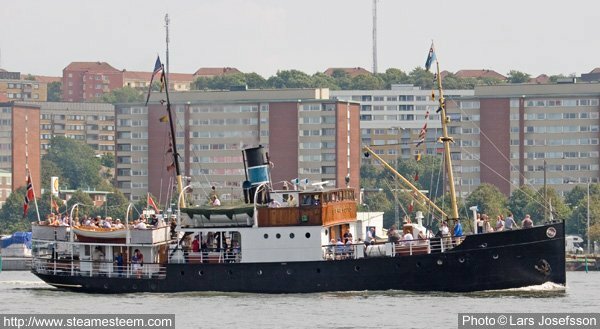 The Steamship Børøysund main steam engine. The mechanism for the Klug's valve-gear. 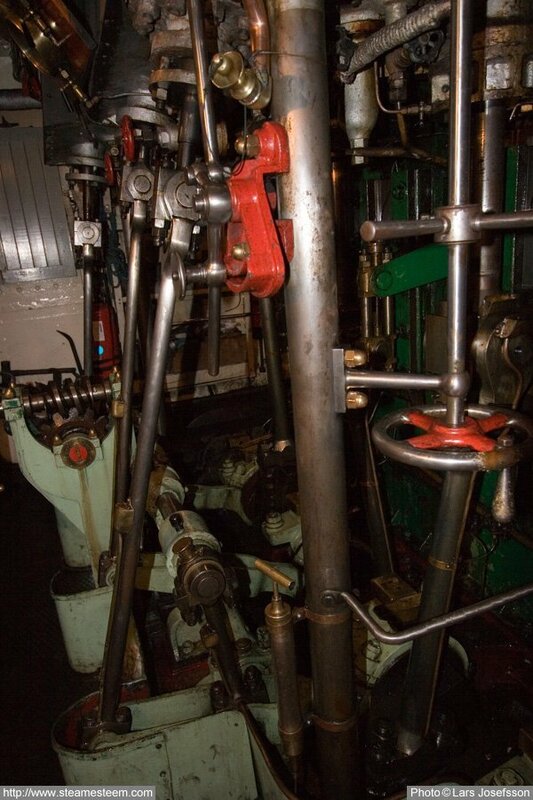 The horizontal eccentric rod and the pendulum for reversing of the engines rotation.